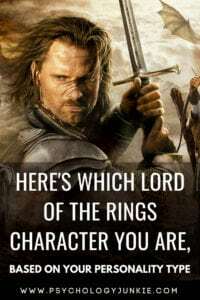 I’ve always enjoyed trying to figure out the personality type’s of the characters in my favorite movies, particularly The Lord of the Rings and The Hobbit. These movies (and especially the books) have been favorites of mine since childhood, and I love how each character has their own unique way of fighting for their cause, be it good or bad. Unfortunately, it was difficult to find a character with each personality type. Some personality types only had villains representing them! So now it’s your turn to find out…are you a middle-earth good guy, bad guy, or a little of both? Reserved, determined, and practical, Thorin Oakenshield is an ISTJ with both good and negative qualities. He is intensely pragmatic and singularly-focused on restoring his home to its former glory. His belief and reverence for the past, his no-nonsense, direct manner of speaking, and sense of duty are all classic ISTJ qualities. You can find out more about his type here. 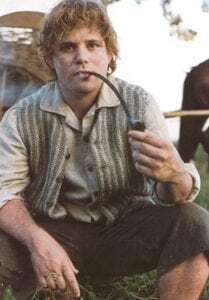 Loyalty and faithfulness are hallmarks of the ISFJ personality type, and Samwise Gamgee embodies these traits well. While he loves the Shire and enjoys the routine he has there, he’s willing to risk it all to stand by his friend and keep his word. ISFJs are firm believers in following through on what they say, and he shows this so plainly as he tromps through the water after Frodo, insisting “I made a promise, Mr. Frodo, a promise. Don’t you leave him, Samwise Gamgee. And I don’t mean to. I don’t mean to.” Find out more about the ISFJ personality type here. Boromir embodies the strong ESTJ with his natural leadership capabilities, his no-nonsense outlook, and his respect for traditions. He yearns for leadership, seeing the choices of the fellowship as too impractical and needlessly inefficient. He values empirical evidence, and has no problem speaking his mind when he feels that the facts are being misrepresented. While he’s occasionally able to speculate about new ideas and foresee meanings (for example, when he predicted that the snow on the mountains was Sauron’s doing) he is more focused on his past experience and his duty than following after theories and the ideas of wizards. 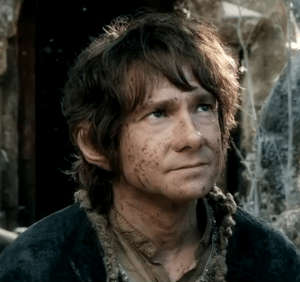 Friendly, sentimental, and practical, Bilbo Baggins is one of the best examples of a male ESFJ hero there is. In The Hobbit: An Unexpected Journey, no matter how much he may dislike a crowd of dwarves invading his home, Bilbo tries as hard as possible to remain polite and hospitable. He fills his home with heirlooms and nostalgic details and loves the familiar life of his hobbit hole in the Shire. While initially he might be afraid of change, after some thought and persuasion he can’t resist the pull of a journey to somewhere new. Because ESFJs have tertiary extraverted intuition, they often feel these longings in mid-life as that function develops. Bilbo solves problems using common sense and insight into the motivations of others. 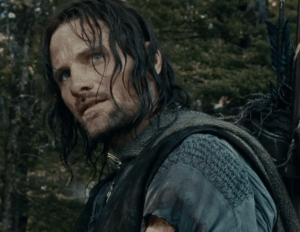 Aragorn captures the mysterious, clever, analytical nature of the ISTP perfectly. Like all ISTPs, Aragon is always inwardly processing things, analyzing the next move, figuring out what makes the most sense. He’s independent and unafraid to go it alone, and he’s intensely observant of his surroundings. He’s able to adapt to ever-changing situations and notice even the most minor changes in detail to foresee coming threats. Find out more about the ISTP personality type here. 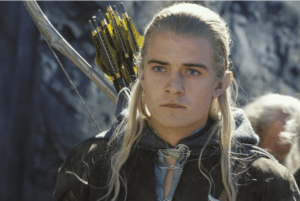 While in the movie Legolas is probably more suited to the ISTP personality type, in the books he is most certainly an ISFP. He is driven by his convictions, has a nearly spiritual connection with nature, and reacts to things based on how they impact him rather than merely what is rational. He is quick-on-his-feet and able to react quickly and effectively to his surroundings. His practical, spontaneous, empathetic nature is a perfect example of the ISFPs strengths. 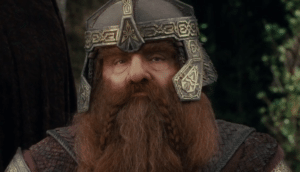 Active and adventurous, Gimli captures the humor, cleverness and bravado of the ESTP perfectly. Despite his smaller size, he’s able to hold his own in battle by reacting quickly to ever-changing situations. He is excited by danger, stimulated by a challenge, and isn’t afraid to state his opinion or enjoy some humorous banter with Legolas while slaying orcs. Pippin captures the enthusiasm, humor, and liveliness of the ESFP in an unforgettable way. He is driven by curiosity and a sense of adventure. He is highly empathetic to the plight of Faramir and others he meets along his journey, and he believes in telling the truth even if it might be dangerous for him. His kind-hearted, spontaneous, playful personality is what makes him and other ESFPs so lovable. 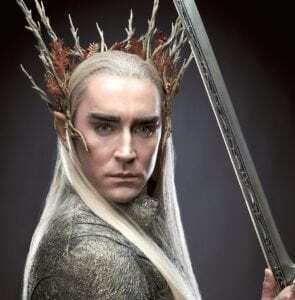 Perceptive, strategic, and rational, Thranduil embodies the INTJs strengths (and some weaknesses) perfectly. He has an unusual ability to catch onto the larger meanings and implications of what is happening around him. He spends most of his time in his own mind and while he is able to take offense for his own sake, he is slow to take an interest in other people’s feelings. His decisions are nearly all based on his vision and desire for the future and how to rationally achieve it. Find out more about the INTJ personality type here. Gandalf has a far-reaching vision, as well as an insight into human nature that epitomizes the INFJ personality type. He is always looking ahead, strategizing, attempting to see the likely implications of current events. He is good at decoding symbols and seeing the hidden intents of others. He knows how to find unlikely people to carry out specific missions because he can see their potential in a way that many others can’t. Other types might have chosen more obvious leaders to destroy the ring, but Gandalf is able to see deeper into the motivations and desires of people and knows that only one person has the purity of heart to truly accomplish this task. Find out more about the INFJ personality type here. Fiercely powerful and intensely strategic, Saruman has the intellect and far-reaching vision typical of ENTJ personality types. Unfortunately he demonstrates this in unhealthy or corrupted ways, but we can still appreciate his strengths nonetheless. He is knowledgeable, rational, and extremely perceptive of how events will likely play out in the future. He has strong leadership capabilities and knows how to place people (and orcs) to achieve his goals. Faramir is willing to do whatever it takes for the good of his people, even if it conflicts with what he believes internally makes sense. He is a good example of how ENFJs value both logic and feeling, but will choose following their values and the needs of others over what they know is the most sensible plan sometimes. He is highly empathetic with others and clearly moved by his values and the feelings of those around him. He is deeply wounded by his father’s rejection of him, but rises to the occasion anyway because he is so personally moved by his father’s desires. He would make a strong leader, capable of bringing many different people together, but his father prefers his brother’s more headstrong way of handling things. Find out more about the ENFJ personality type here. Curious, clever, and wildly independent, Smaug is the perfect example of an INTP villain. Unlike a TJ villain, he doesn’t wish to control or have power over others. He craves a solitary life, and the only people who interest him are the ones who challenge his intellectual capabilities and make him think and toy with ideas. 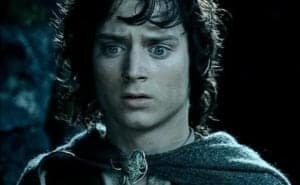 Willing to give up everything for the cause he believes in, Frodo embodies the most valiant of INFPs. His open-minded, gentle demeanor hides a fiery passion for the fate of the Shire and the world at large. Frodo can’t live unless he adheres to his convictions and values, and this is evident in every decision he makes. His compassion for Gollum, his willingness to turn his whole life upside down the moment he is needed, and his integrity are all qualities that reveal his mature INFP nature. Find out more about the INFP personality type here. Merry (or Meriadoc) is known as being intellectual, clever, and the most perceptive of the Hobbits in the Lord of the Rings books. He is far more strategic in the books than in the movies; realizing even before the Quest of the Rings what is about to happen and how to prepare. He is stimulated by change and capable of switching gears as the situation changes, finding ingenious solutions in the midst of turmoil. I had a terribly difficult time finding an ENFP character in Lord of the Rings. Eventually, I settled on Arwen, but I think there’s a chance she could be an INFP instead (it’s hard to tell). She has the open-minded nature of an ENFP, willing to bend hundreds of years of tradition and the expectations of the elves to follow her own desires to love Aragorn. She has to adhere to her values and her calling in life regardless of what is considered normal. She has a playful, passionate side and eventually becomes a loving and wise queen. If you are reading this and you can think of a more fitting ENFP character, let me know! I’ve racked my brains and can’t seem to pinpoint one. Which Fantastic Beasts Character Are You? Hi Susan, I just wanted to take a moment to let you know how much I enjoy your articles. My wife (ISTP) and I (INFJ) enjoy reading the articles together to broaden our understanding of MBTI and to learn more about ourselves and others. Interestingly, I recall reading that in your family, you are the INFJ and your husband the ISTP. We are reversed in my family along the male / female aspects. Wishing you and yours all the best! Thank you so much Gary! I’m so glad you and your wife are enjoying the articles 🙂 My husband is actually an ESTP, but a few years ago he thought he was more introverted so we had him mistyped as an ISTP. Still very similar! Thanks again for the kind words! Yes!! I love this article! As a Lord of the Rings fan (I’ve read the books and watched some of the movies) this was informative, as well as a lot of fun to read! I’ve always empathized with Farimir and Gandalf and Frodo, though Gandalf is my favorite. So many of these were spot on! Thanks for this article! I’d love to see a Harry Potter or a Marvel one as well! Yesss @Harry Potter and Marvel. I’d happily throw in Game of Thrones as well! Oooh, this looks fun! It has been a while since I have watched the films and even longer since I read the books, well The Hobbit and LOTR (I tried to read The Silmarillion, but it felt too much aimed at the Si reader, all those lists of names and titles). That said, now I feel like giving it another go, especially because of this post, so yay :). I think I agree with most of your typings (especially Gandalf, so very INFJ, and Sam), but Radagast the Brown I don’t feel so sure about, I had him pinned as an Ni user mainly because of his affinity with nature, Ne dominant doesn’t quite fit the picture of a hermit living out in the wilderness, also recall that he liked to have things settled, taking decisive action which suggests a Judging personality. 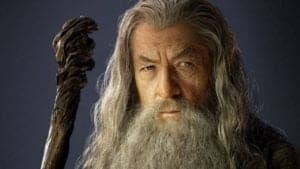 I hesitantly would type him as an ENTJ, we haven’t seen so much of him so difficult to say (and the films did some weird things with the characters), but he does seem to have strong Te, remember it was Radagast that persuaded Gandalf not to rejoin the others and instead to join him to Dol Guldur to settle things, Gandalf responded to that with “You want me to cast my friends aside?”, and the implicit answer was yes, Radagast did, with his dominant Te massively outweighing his inferior Fi wanting things settled and looking past feelings like friendship that concerned Gandalf as a Feeling type. I think his energetic nature as you describe it comes from tertiary Se. We see him riding his rabbit-drawn carriage at breakneck speed, pulled by Rhosgobel rabbits no less, this I believe demonstrates an ability to stay alert fully engaged with both his senses and surroundings, whilst having fun with it, feeling alive as the wind blows through his hair (including his beard), wild and free and so Se :)… “I’d like to see them try” :D.
Thanks so much for your input on this! I had SUCH a hard time with Radagast and finding an ENFP, but after reading what you’ve written I agree with you. I will have to find an ENFP to replace him – I will definitely look into Tom Bombadil! Thank you again!! My pleasure Susan, what can I say, INTJ, we hardly ever make mistakes, haha (yes, I have strong Se too). Seriously though, I also had a hard time typing Radagast as well.hence why I only “hesitantly” typed him as an ENTJ… as I was reading down your article I heard whispers at the back of my mind with imagery of Radagast (one of my favourite characters) and whispering NTJ, then I got down to the bottom and went ooh yes, you included him, yay, and then looked at the ENFP typing, and I almost convinced myself that he types as an ENFP and cursing my subconscious mind for thinking NTJ, I mean classifying him as a Thinking type, what in middle-earth was I thinking? All of that love and caring for non-humanoid animals, he wasn’t an NFJ, I knew intuitively that he wasn’t that, my mind felt hazy, it was 4am in the morning and I hadn’t been having such a good day, yet still I had a nagging, yet I still felt uneasy with him as an ENFP, whispers still came out of the dark telling me he had Ni, the way he loved and cared for the all life, yet living as a hermit. he was definitely extrovert, no doubt about that, so logically he must exist as an ENTJ, but how? I started explaining my doubts, at least I wouldn’t look like I had completely lost my mind despite the high level of fog that surrounded it, and the more I wrote, the more I turned to youtube, everything I could find, trying to settle it one way or the other, ENFP or ENTJ, his fighting skills, was that Ne or Se? I turned to the 43 minute long The White Council Movie on youtube, edited clips from the films of Radagast, just to make sure I got all the clips to pour over, trying to assuage my doubt and put together a somewhat coherent argument for my wacky typing. The more I watched, the more I noticed little extra bits that backed my hypothesis, like the quote “I’d like to see them try”, so incredibly Se. I think that explains why I (and perhaps you also) found Radagast so difficult to type, he has such strong Se which we in society don’t find so common in society. Seriously, after re-watching that rabbit chase many many times over I had almost convinced myself that he was actually an ESFP! I had to keep reminding myself that no, overall he has a judging personality, just that once he has made his decision with Te-Ni, he then allows himself to have fun with Se-Fi :)! Given his age of around 3000 years old, one would have expected him to have mastered his tertiary and perhaps inferior functions, right? I think this makes for an interesting case-study between comparing Radagast and Saruman, both of the same age and yet two very different ENTJs, so much so that one finds it so difficult to recognise them both as ENTJs. One of the differences seems to come from their approach to the world, as an ENTJ-T and ENTJ-A respectfully, but I think it goes much deeper than that, Radagast nurtured his other tertiary and inferior functions, whilst Saruman seems to have (deliberately?) shut them off. Damn, now I try to figure out Saruman’s thought processes, how did he fail so badly? None of his functions seem to work properly at least compared to Radagast, Te, where was his action? Ni, where was he being open to other perspectives? I think his failure came from the burden of responsibility, as leader of the White Council, I think his Te saw that he needed to study, to come up with viable tactics against Sauron, himself, his contraptions, and his magic, and so he poured his Te and Ni into that, abandoning his other functions in the process. Because of this, Saruman isolated himself, he cut himself off from the world, he became a very unhealthy ENTJ, his Te took him away from the outside world, and because that task took him to reading up on the dark magics of Sauron and The One Ring, to quote your selected quote of Nietzche “Whoever fights monsters should see to it that in the process he does not become a monster. If you gaze long enough into the abyss, the abyss will gaze back at you”. To make matters a tad more confusing/interesting depending on your perspective, I believe, after some more thinking, that the actor who plays Radagast, Sylvester McCoy, I believe he might type as an ENFP… and when I say “I believe”, I mean really (95%+) certain as I have been aware of him for a decade or two before The Hobbit films. As we both exist as dominant Ni types, I think we can all too easily pick up on both the actor acting, and the character that the actor portrays, as we all too easily get inside their heads, especially if the actor has such a different personality and finds it difficult to not put themselves into the role. Maybe this even produces a feeling similar to dysphoria within us, especially as we start to become aware that two different people exist there. I think I felt that last night, toing and froing between ENFP and ENTJ and not getting a clear signal for either types. I feel satisfied now that I have this explanation :). I can explain more about the actor if you like as I have it all nicely broken down in my head now, but for now I leave it here :). Oh, and thank you btw for that huge compliment from you and also for the chance to make these wonderful discoveries :). I have caught a single mistake in your article. 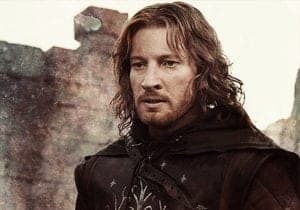 In the paragraph where you speak of Faramir ,”He would make a strong leader, capable of bringing many different people together, but his father prefers his brothers more headstrong way of handling things.” it should be “brother’s”. He has only one single brother, does he not? As an ENFP, thank you so much. 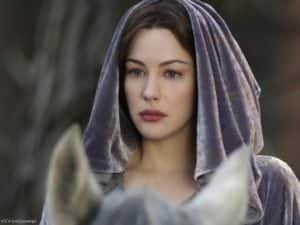 I’ve always felt a connection with Arwen. Spot on! but thought that Arwen would for sure be INFP and Sauroman could potentially be an INTJ, but I see the ENTJ side for sure. Yes, I’m not 100% set on Arwen as an ENFP. It may be that there are no ENFPs in LOTR. It’s very difficult to tell with her because there isn’t much information on her in the books other than how beautiful and wise she was! Casting my vote for Eowyn as an ENFP. She’s a strong-willed, goes-with-her-gut, kinda chick, who is more of a playful extrovert than Arwen. This is very cool! I always love seeing the connections between MBTI and things like different literary characters n_n . I agree with a lot of these, however the main one I’d probably disagree with was Bilbo. I haven’t seen the newer Hobbit movies (save for the first one), but book Bilbo doesn’t seem like an extrovert at all. He gets thrown into everything and does eventually grow immensely, but at his core he’s happy to give up much of his treasures and just live peacefully in the Shire.